Thank you to Dani for inviting me to talk about my self-publishing experience. Going the self-pub route had not been my original choice. I had what I thought was an awesome idea for a young adult novel—two kids realize they’ve been living inside To Kill a Mockingbird for the past five years, and they undertake an adventure through great literature to find their real home and parents—and I wrote it. My agent loved it, I mean dropped the “F” bomb on the phone with me she loved it so much, but she couldn’t find a home for it. Publishers gave us positive feedback but said that ultimately, they couldn’t sell teenagers on classic literature. Now, I’ve traditionally published seven mysteries, with the eighth coming out in October. I also serve on the national board of the Mystery Writers of America. I’ve got some hard-earned publishing knowledge, and I’d been hearing the same buzz as everyone else: self-publishing is big. It’s huge. It’s the future. You can write a book and quit your job cuz the money’ll come rolling in. I don’t normally believe hype, but I personally knew people who’d made tens of thousands a year self-publishing. And what did I have to lose? None of the trad publishers wanted Toadhouse. Aine (pronounced "Aw-nee") believes herself to be a regular teenager in 1930s Alabama, but when a blue-eyed monster named Biblos attacks, she discovers that the reclusive woman raising her isn't really her grandmother, that fairies are real, and that she's been living inside a book for the past five years. With her blind brother, Spenser, she flees the pages of the novel she's called home, one terrifying step ahead of Biblos' black magic. Her only chance at survival lies in beating him to the three objects that he desires more than life. As she undertakes her strange and dangerous odyssey, Aine must choose between a family she doesn't remember and her growing attraction to a mysterious young man named Gilgamesh. Only through treacherous adventures into The Time Machine, Dr. Jekyll and Mr. Hyde, A Tale of Two Cities, and the epic Indian saga, The Ramayana, will she learn her true heritage and restore the balance of the worlds ... if she can stay alive. 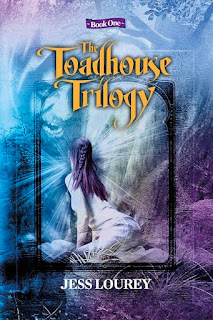 Jess Lourey is the author of The Toadhouse Trilogy: Book One, the first in a young adult series that celebrates the danger and excitement of reading. 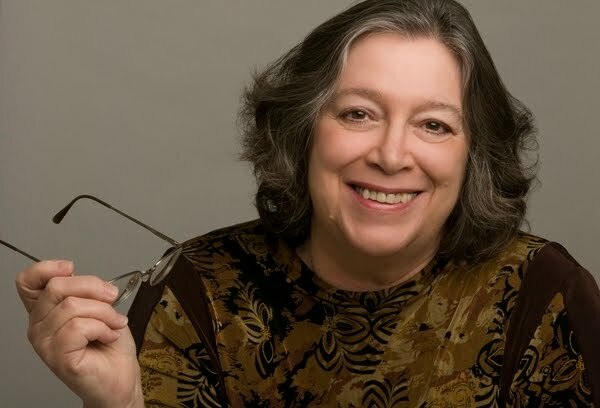 She also writes the critically-acclaimed Murder-by-Month Mysteries for adults with a sense of humor. She's been teaching writing and sociology at the college level since 1998. When not gardening, writing, or hanging out with her wonderful kids and dorky dog, you can find her reading, watching SyFy-channel original movies, and dreaming big. You can find more out about her and her books, and read an excerpt of The Toadhouse Trilogy: Book One, at JessLourey.com/Toadhouse/ttt.html. Which is Right for You - Lightning Source, CreateSpace, or Both? If you're thinking of self-publishing not only in electronic form, but also in print, a huge consideration is your goal. Do you wish to be considered a publisher in your own right? If so, I recommend Lightning Source as your printer. If not, CreateSpace will work fine. With Lightning Source as your printer, you'll need to set up your own publishing company, which will establish you as a separate entity in the publishing world. This applies whether you're having your own books published or if you're widening the field as a small publisher and offering your services to others. Relatively speaking, it's not horribly expensive to set up a company, but there's some bother involved. You'll need to decide on a unique name for your company. You'll probably want to purchase a post office box, unless you wish the company's address to be your home's; then you'll register the company and send out notices. You might also consider a special logo for your books. Also, you'll need to get an ISBN, which you can purchase at Bowker.com, in differing quantities, depending on how many books you plan on publishing. When I published Killer Career through Lightning Source in August, 2009, I paid $75.00 for a setup fee, which was reasonable. To be competitive, Lightning Source also suggested a discount of at least 40% to bookstores. They also suggested accepting returns. I wanted to play the game right, so I followed their suggestions about discounts and returns. I must admit regretting those choices and have since changed my specifications to a smaller discount and no returns. One good thing about following their initial suggestions about discounts and returns was, after sending a letter, I got my book into the Barnes and Noble bookstores, mainly in my area. It also appeared in their catalog for ordering. Sure, the books were in the stores, but not in featured positions. Instead, they languished in hard to find, out of the way spots. When I asked for permission for book signings, I received a green light at many Barnes and Noble stores, as well as Walden's, which was owned by Borders. However, the managers tended to over-order. They had no worries. If the books didn't sell, they could always ship them back. Even when I had what I considered good sales at signings, there were usually books left over to be shipped back. Being the publisher, I had to pay not only $2.00 for each book returned to Lightning Source, but also the price the bookstore paid. I learned the hard way that POD (print-on-demand) is the best policy. It doesn't get you into as many bookstores, but the expenses are less. Most small publishers offering services to authors have always gone the POD route, and those that didn't before, are fast changing over. Lightning Source produces a quality product and offers a great distribution system through Ingram, Baker and Taylor, and other entities, making it possible for your book to appear online for ordering and in catalogs, as well as internationally. 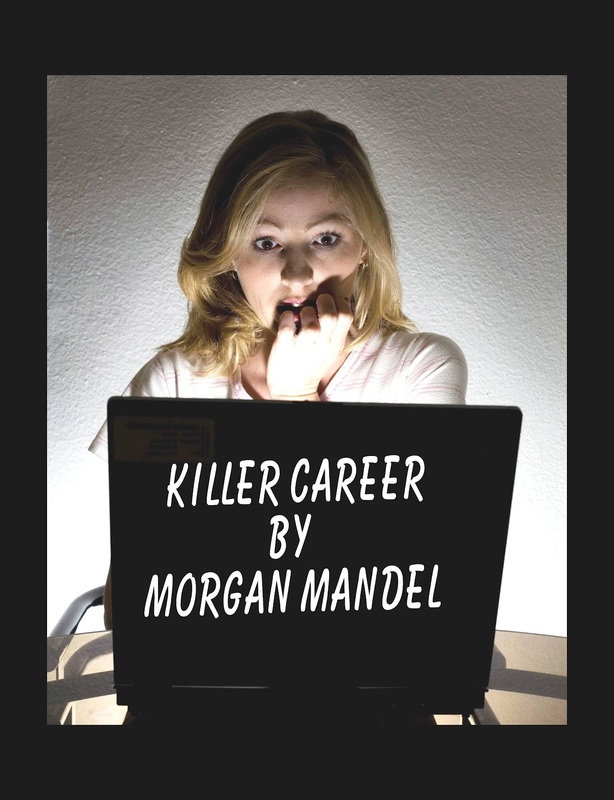 So, even though Killer Career is not printed through CreateSpace, it still appears at Amazon. I have heard rumors, however, that Lightning Source books take a little longer to get to the customers than those created through CreateSpace. Some self-publishers have gotten around that obstacle by offering their books through both Lightning Source and CreateSpace. I've focused a lot here on Lightning Source. CreateSpace is also good in its own right. If you're publishing your own books and don't care for the hassle of setting up your own publishing company, you can publish your books free through CreateSpace. For $25 more, you can pay for their expanded distribution as well, which will get you to libraries, Barnes and Noble and other online venues. For free, CreateSpace will supply you an ISBN through Amazon. Because the stigma associated with self-publishing has almost completely disintegrated, a publishing company's name doesn't carry as much urgency as before. Still, some authors feel more secure listing a publisher, instead of only Amazon. As I mentioned before, there's always the option of using both Lighting Source and CreateSpace. By the way, whichever printing source you pick, for best results I recommend hiring an editor. You can find plenty to choose from right here at The Blood-Red Pencil. You can set up your book cover by yourself through following instructions offered by whichever printing company you choose, or you can hire a cover art designer. 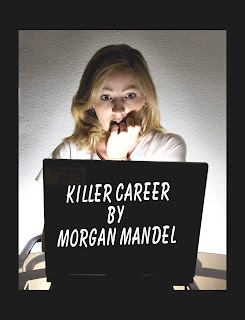 After designing the cover for Killer Career, I decided it was too much of a hassle to do so again. The rest of my covers have all been designed by Stephen Walker at SR Walker Designs. I choose the stock images and he puts them together at a reasonable price. I hope this information helps you somewhat in your decision. For a more in depth look at how I published Killer Career though Lightning Source, I've included a few links from my series here in 2009. Keep in mind that my other books were published through CreateSpace since then, which means I'm unaware of any changes in pricing or procedures which may have occurred in the meantime. Still, it will give you an idea of the steps I took, which may help you along. 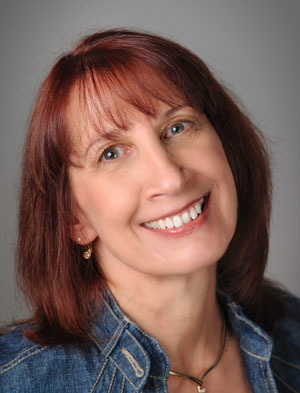 Morgan Mandel is a past president of Chicago-North RWA, a library liason for Midwest MWA, and at one time freelanced for the Daily Herald Newspaper. 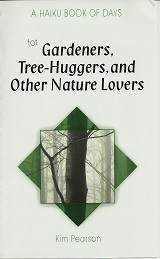 http://morgansbooklinks.blogspot.com/ , two in print, all in e-book. She's also contributed two stories to The Corner Cafe: A Tasty Collection of Short Stories. Coming soon to Kindle is Her Handyman, a contemporary romance involving a famous artist and a handyman. CONTINUING SERIES - 18 Stories! 15 Authors! Talk About A Project! 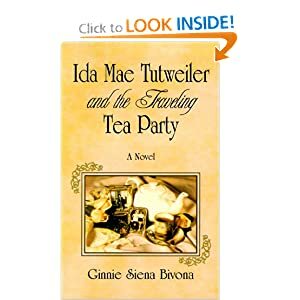 The Corner Cafe: A Tasty Collection of Short Stories is riding high in sales, after a spectacular performance at its first freebie weekend on June 9 and June 10, 2012. The book is ready, but the work's not over. 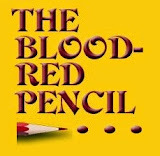 Dani Greer, owner of The Blood-Red Pencil, along with Morgan Mandel, Helen Ginger, Maryann Miller, Shonell Bacon, and Audrey Lintner, all contributors to the collection and members of The Blood-Red Pencil, are sharing our ongoing experiences with you about the project in this series. Perhaps, what we've discovered will aid you in your own endeavors. Shonell Bacon's contribution to The Corner Cafe: A Tasty Collection of Short Stories is "I Wanna Get Off Here," about a bus driver with a dream who must unchain herself from circumstances sttanding in her way. 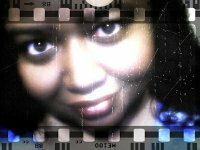 Click Here to Find Shonell Bacon on Amazon. 1) What surprised you about this endeavor? The busyness, the work involved. There is a low buzz that's constantly in the air when you're working on a project like this, with a group, and with the promotional work involved. 2) What seemed the most difficult? Most of what I might deem difficult was and has been handled wonderfully by Dani (Greer) and those who worked on editing the novel and pulling it together to be published. My part in the process, specifically, hasn't been too difficult. Busy, as I find myself manning my social media outlets to keep the message rolling about the book. I also find myself constantly checking Amazon to see the ranking, something I never did for my solo works. 3) What proved the most satisfying? Actually seeing the proof that actions pay off. In the first week of the collection's release, so many positive things came about: strong reviews on Amazon, seeing the book score great rankings, seeing the activity of the group as we hustle and bustle along online spaces to promote the book and each others. 4) What did you learn? Big key thing: to be open for making changes to the promotional plan and trying everything once. Another key thing, and this is something I knew, but it always bears hearing again and again: it is important to think about promotions before a book drops: setting up the tour or promotional activities, actually setting benchmarks to see how effective things are, having "free" days for your book to drive traffic and then, again, set benchmarks to see how effective that is. I'm thinking several posts could come from an endeavor such as this. Yes, and hope that I'm asked to be a part of something like this again. So far, after over a month, I'm enjoying it. Please leave a comment about one or more of Shonell's answers. 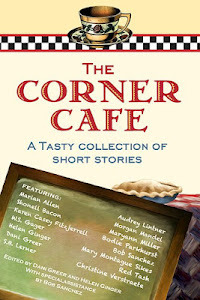 Look for "What Nice Blessings" and "The Closing of the Corner Cafe" by Morgan Mandel in The Corner Cafe: A Tasty Collection of Short Stories. I recently received a Kindle as a gift from my husband, which was a lovely gesture. But my first thoughts went directly to the two large boxes of books “To Be Read” under my bed. I do like the Kindle for portability and it will be wonderful when I travel. Also, the success of the Kindle and the Nook and all the e-books that are hitting the market right now can’t be ignored. But I still find myself drawn to my paper books. I attended the Pacific Northwest Writers Association Conference this past weekend and went to a CreateSpace Workshop. Tom Kephart gave a presentation on how easy it is to use this program and the benefits that Amazon provides its “indie” authors, including a new application that is supposed to easily convert your book into Kindle format. I recently did a book layout and helped an editing client publish her memoir about being one of the first women engineers to work on the Alaska Highway, Engineer in High Heels. I used CreateSpace and I found what people had told me before and what Kephart said in his presentation to be true. It was a relatively easy process (only a few missing hairs while figuring out various aspects) and it is free if you do the layout, the cover design and everything yourself. They do have programs to design the cover and the layout if you choose, for a fee. They also have a support staff to answer your questions when you get to the hair-tearing parts. So it really is a pretty simple way to see your “baby” born into a real book. My recommendation to anyone wanting to self-publish, though, is to have it professionally edited, and go over the proof with a fine-tooth comb. You want a clean, well written and edited, professional-looking product. Then you can convert it to Kindle, and have your cake and eat it too! POD: A Means to an End—or Simply the End? For years, the term POD (print on demand) has been controversial. Recently, it garners less animosity than in the past, but its mention can still heat up the conversation in a room full of authors. The reasons for this may be varied, but it seems that some still don’t believe that using POD truly makes one a published writer. Is that true? Let’s examine what POD really is and the role it can play in getting a book from writer to reader. POD technology came on the scene as a result of digital printing. Before that, it wasn’t financially feasible to print a short run, or just one, or a handful of books on an offset press. POD means that books are printed after they are ordered, not before. Garages and basements don’t overflow with unsold novels, and large publishing houses aren’t stuck with huge inventories. Self-publishing authors who, in the past, have been required to pay for large print runs no longer have to do that. They don't have to save thousands of dollars—or max out a credit card—before they can take a book to press. Does this mean that anybody can publish a book now—without benefit of an editor, designer, agent, or the name Random House? Yes, and this may be where some of the controversy comes from because it bypasses the quality control that has marked our industry for many decades. But did you know that academic publishers, small presses, university presses, and even large houses use POD technology at least occasionally and sometimes all the time? Being able to print just the number of books needed makes great sense economically and environmentally at a time when we’re counting the cost in terms of not only dollars, but also resources. What are some advantages of POD? 1. Short runs are cheaper despite the higher unit price of POD because setup costs less. 3. Storage requirements are reduced. 4. Reprinting out-of-print titles becomes more feasible. 6. Manuscript completion to market-ready book requires much less time. 7. Authors retain a larger share of the profits. Of course, there are also drawbacks. 1. Lack of gatekeepers allows the market to be glutted with poor quality books that don’t meet any standards of excellence. 2. Many bookstores, particularly chain stores, choose not to stock POD books because unsold copies cannot be returned. 3. Books of first-time authors who don’t have big-house backing can be a hard sell—and many who use POD are first-timers. 4. POD books are typically more expensive and offer the retailer a lower discount rate—aka lower profit. For the naysayers who have for years predicted doom for writers who choose the POD route over traditional publishing—which turns away almost all comers—the future looks far less dire than expected. Authors whose books grab the public interest and rack up sales often migrate to the offset press and/or are picked up by larger houses that see profits on the horizon. Others use non-traditional marketing strategies such as website offerings, motivational speaking engagements, workplace or other niche options, schools or organizations, and other creative outlets. POD has proven itself a powerful means to an end for many writers who use the system to their advantage and sell books. For others whose marketing skills fall short or whose products are inferior, it has been the end. Whether or not any individual book becomes a success, the technology is here to stay. It’s fast, it’s effective, it’s economical—and that’s what people want. How do you feel about POD? 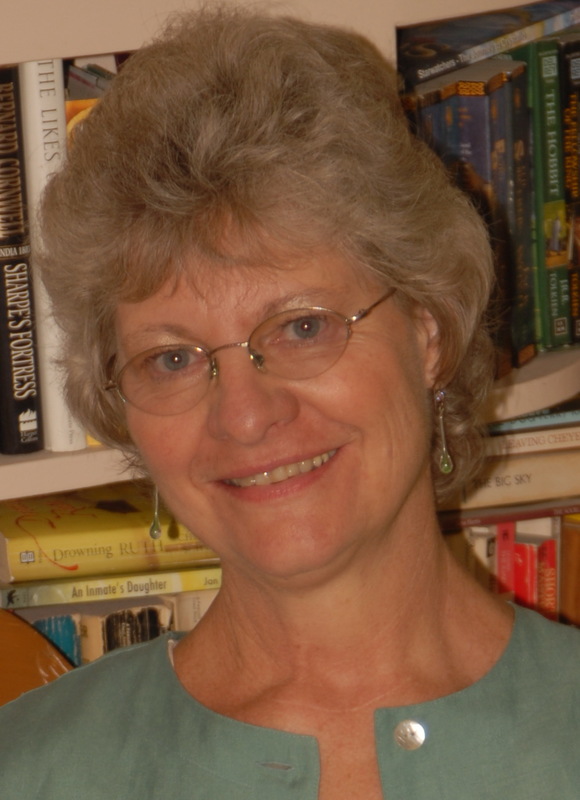 Linda Lane loves to read, write, and teach writers to hone their craft. 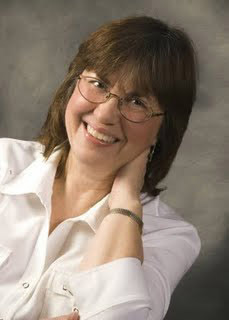 Learn about her and her team of writing mentors at www.denvereditor.com. Form is everything in a successful story. Everything? True, we have to flesh out characters, engage the reader in a compelling theme, get our language right and do a dozen other things. But without form, a story’s dead. 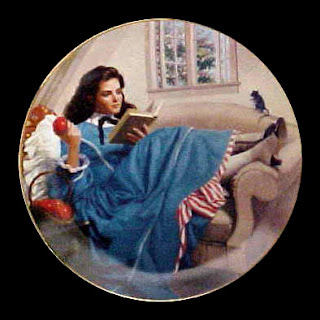 People read - and tell - stories to discover the form that their lives, afflicted by random events, might otherwise lack. Why else has storytelling been a feature of human life since records began? Bards have always found an audience among unhappy folk, hungering to invest their lives with meaning. Simply to perceive form is to create meaning. We have only to look at the patterns of stars in a night sky to speculate upon their meaning. A cluster of random dots becomes a horse, a plough, a shield ... humans are a pattern-forming species. Is that why a great story lasts forever? The enduring myths of Cinderella, the Sleeping Beauty, the Ugly Duckling, to name but a few, can be found in every culture. Each has a strong, simple form. The form implies that our own life might be meaningful and magic too, if only we knew its hidden truth. Although our lives may be formless, the stories we escape into cannot be. Each must have a pattern defined by a clear boundary - a satisfying close. Without a firm sense of closure, a tale might be a sketch, an essay, or a character portrait. But it’s not a story. Of course, a fine story might not appear to close. The classic ghost story of Henry James The Turn of the Screw leaves the reader hanging. We don’t know who dunnit or even what (really) the story had been all about. Yet the last lines have a satisfying sense of finality. Why? James uses a subtle tactic that goes under many names but the ‘Story Sandwich’ sums it up. Simply put a memorable incident - even a theme, or phrase - into the opening passage. In a long story or a novel we might repeat variations of that motif several times. In a short story of, say, 8,000 words we need do it only once, then echo it at the end. In Peter Robinson’s crime thriller The Summer That Never Was, detective Banks is called home from an idyllic holiday to solve a murder case. The title defines a theme - paradise lost - which is repeated throughout the story and the novel closes upon the same phrase. It gives a poignant sense of closure. Robinson might have achieved the same effect with a Significant Incident. The story could have opened with detective Banks happily sipping an ouzo in his Greek villa. In the last paragraph, he’s back at the villa again. He starts to pour himself an ouzo. Then he reflects on the tragic incidents of the previous months, and he tips the drink away in disgust. The story has come full circle. An emblem might also do the trick. The ouzo could have closed the tale by itself, if presented as an emblem. At the start, it would have signified happiness and frivolity. At the end, it could imply sadness and remorse. True, the ‘Story Sandwich’ is a formula but it’s a foolproof way to get a story started - and finished. And to beat Writers’ Block. At the outset, we just write two sections of our story - the opener and the close. And we drop the same incident, emblem, phrase or theme into both sections, with creative variations. At our leisure, we can go back to fill in the bits in the middle. Our tale will then present a strong sense of hidden structure. If all else in the story is working well, the sense of closure will be very satisfying. This simple tactic can be used in any story, even one that’s already drafted. Turn the story into a sandwich! To Print or Not to Print, Is That the Question? It hasn't been very long since the traditional publishing model meant printing a hardcover edition of a new book, then following that with a low-cost paperback edition, and maybe, if the publisher was really sharp, making an e-book available on the heels of print. In today's rapidly changing publishing environment, all three versions of the book are usually published simultaneously, or at least within very narrow time-frames. This gives readers all the options quickly, and multiplies the opportunities for sales. In the past year, a growing number of publishers have started printing new titles in only e-book version first, presumably capitalizing on the success of indie authors who have discovered the potential of feeding the e-reader market. Later, if e-book sales proved successful, the door might remain open for a print run, particularly if libraries and schools demanded the title for their shelves. But fast disappearing are the days of large print runs, warehouses full of books, and the dreaded remaindering of books that didn't sell as expected. It's an awful production model, particularly since few publishers print in environmentally conscientious ways to begin with. Recently, I interviewed Keith Anthony, the printer broker for Little Pickle Press, about the comparative costs of printing children's books in North America on recycled papers with soy inks. The cost of these books is 5-6 times the cost incurred by traditional publishers printing off-shore. With any sort of commitment to the environment, it makes even more sense to publish new content in digital format first, and then follow with a true collector print book that will be treasured for life, rather than sent to the Goodwill bin. 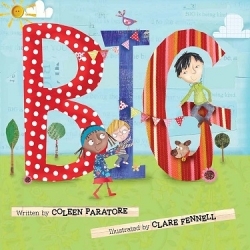 Last week, Little Pickle Press introduced its newest children's book, written by Coleen Paratore (who writes the adorable Wedding Planner's Daughter YA novels) and illustrated by UK artist, Clare Fennell. BIG came out as a Kindle edition with special pricing of $2.99 through July 26. In August, the print edition is available, and can be pre-ordered at 25% off by clicking here. I think this sort of new book presentation will become the norm in a very short time, especially if readers like the option of trying a title out at a lower digital-format price first, then buying a real copy for their shelves later. What do you think of this approach? How have your buying habits changed since acquiring an e-reader, and are multiple buying options important to you when acquiring books? Do share with your friends and let us know if you like this book. There is actually a "try it free" link at the Amazon page in the right-hand column, where you can have the first few pages of the book delivered to your Kindle. Even those of us who've purchased e-readers miss certain aspects of the print book. Perhaps it's the paper: its color, texture, or ragged edge. Perhaps it's the elegance of the font, or design of the headers. As we pay homage this month to the print book, I wanted to take a look at the unsung hero of book beauty and reading comfort: the book designer. Assisting me is Glen Burris, of Baltimore, MD, an award-winning book designer who has worked for Johns Hopkins University Press for more than twenty years. Kathryn: What exactly does a book designer do? Who do they collaborate with, and how does their work fit into the production of a book? Glen: A book designer takes an edited manuscript and, using his or her expertise, determines the appearance of the printed book. This involves determining the page layout (page margins and type area), type specifications (sizes and appearance of the text, titles and subheads), sizes and positions of any art, and layout of display pages (such as the title page and the table of contents). These details are usually given to a compositor who creates the actual pages; sometimes, however, the designer also sets type and lays out each page. The designer selects the papers, boards, and cloths used to print and bind a book. The designer designs the covers or dustjacket of the book and creates the materials required for their printing. The designer supervises all of the work required by these processes to ensure that the final product matches their specifications. 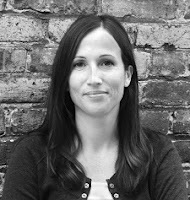 Kathryn: What kind of backgrounds do book designers have, and how do they contribute to the process? Glen: Book designers come from all walks of life but most commonly have a graphic design background. They will have been taught the art and science of type (typography); its principles and rules are essential in the creation of beautiful, readable books. Book designers know the processes by which books are printed and bound. Book designers know something about the processes used to reproduce photography. Kathryn: I tried three times to read A Tale of Two Cities, even though I'd previously loved Dickens. Plus, it’s a classic—shame alone should have pulled me through it. I finally picked up a different version from the library and had no trouble. I concluded it must have been the book design that kept me from being able to read it. Why is book design so important, and how does it support the reading experience? Glen: The best book design is, paradoxically, invisible: the reader encounters the text without any interference and reads effortlessly. This involves selecting the right size type, setting it on the right line width, and spacing the lines correctly. Different types of reading require different type settings: a novel is different from a dictionary entry, which is different from a technical or scholarly work. Kathryn: A huge loss for me, in e-books, is in the design. Every book looks the same on an e-reader. Do you fear book design is a dying art? Glen: The current e-readers, in order to make the page layout more flexible, actually violate some important rules regarding wordspacing, hyphenation, and line length—making the texts harder to read. I expect e-readers will become more sophisticated in time. More books and more kinds of books will be read on them. But book design will not die: people will still want beautiful books, whether paper or digital. Kathryn: What was your favorite project to have worked on, and why? Glen: What I like about my job is the variety. I've designed poetry, short story collections, science reference works, fine art photography books, as well as many scholarly and technical books. I'm currently working on a field guide to fishes. My favorite projects have all been with writers, photographers, and artists who were passionate about their work and wanted the physical book to reflect that passion. Glen designed all three covers pictured here for books recently published by The Johns Hopkins University Press. Glen Burris is an award-winning book designer with over twenty years of experience at The Johns Hopkins University Press. Not long ago, while spelunking in the garage in search of my husband’s fencing foil and kit bag, I came across a storage crate labeled Garillon Originals. Inside the crate were Kelloggs Cornflakes boxes sealed with packing tape. These proved to contain the original hard-copy manuscripts for my Garillon trilogy. It was like stumbling across the ruins of some lost civilisation. Evidence garnered from a recent study of the Garillon manuscripts suggests that, prior to the dawn of the Cyber-Age, professional writers composed their works on crude hand-operated devices known as typewriters. Using a proto-model of the computer key-board, writers inscribed their works on sheets of paper, letter by letter, one page at a time1. There were only two font sizes available: pica (large print) and elite (small print), and each individual typewriter had its own fixed font style (a fact often featured in contemporary crime fiction). Special formatting effects were unknown. Correcting mistakes inadvertently committed in transcription (typographical errors) was a time-consuming procedure. First the writer would “erase” the text in which the error occurred, either by painting over it with opaque correction fluid (Typex) or by applying a small strip of self-adhesive “correction” tape to the appropriate spot on the page2. The writer would then re-set the page and type in the correct version. In the case of more substantial revisions, there were no easy solutions. If an author wished either to excise a block of text, or transfer it from one place to another within the manuscript, there were only two options. Either he/she could completely retype the chapters affected by the changes, or take a pair of scissors to the existing typed copy, rearrange the pieces in the new order, and stick them down on a backing sheet3. This time-consuming, complex, and sometimes messy process of type-written composition generally yielded only a single copy (master copy). A secondary imprint might, with difficulty, be generated during the inscription process by means of inserting a thin sheet of “carbon paper” between two blank pages. Inserting these layered sheets into the typewriter, the writer could generate two copies at once: an “original” and a duplicate “back up”4. In the final analysis, it was not until the work was published that the writer could finally relax – before moving on to the next project. Authors of the present day owe a profound debt of gratitude to those tireless innovators who brought us PCs, inkjet printers, and all related marvels of the 21st Century. 1 Irregularities in the type face suggest that the author of the Garillon manuscripts was using the more primitive manual typewriter rather than the more advanced model powered by electricity. 2 The Garillon author uses both these methods idiosyncratically. 3 The Garillon manuscripts are rife with this kind of nursery school cut-and-paste work. Do Writers Still Need New York? Publishing is in flux—an understatement if ever one existed. The industry is in the midst of some of the greatest changes and challenges since Gutenberg sent us into the modern era. One issue of huge importance revolves around whether or not traditional publishing will even exist as we know it in the very near future. The digital age, and all of its advances in technology, has revolutionized this business in a mind-bogglingly short time. Such a short time, that NY is scrambling all over the place, and as is often the case with big publishing, the tail is truly wagging the dog. Now major publishers are chasing the e-book phenomenon like a puppy spinning after that tail. 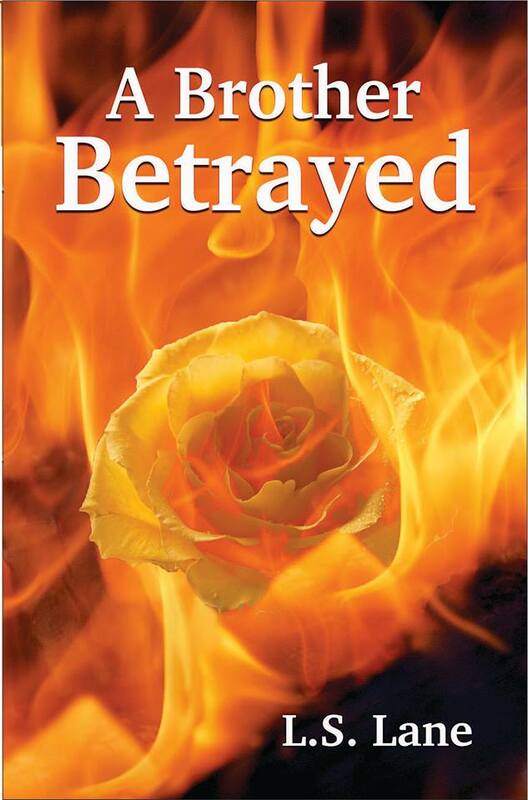 Many are releasing e-book serializations as teasers before the hard or soft covers come out. We’ll see how well that works—the jury is still out on it. But the point being, NY is trying to get creative. Even if the traditional industry found itself fifty yards behind at kickoff. Will initial print runs soon be a thing of the past? Returns a distant memory? What if nothing ever goes out of print (digitally speaking, anyway)? And what does that mean for the writer? Plenty. And much of that is good. The publishing world up to now has been a quite small one, actually, centered in New York, and even before the digital age zoomed off, acquisitions and mergers of major houses narrowed that world more and more. Ten years ago virtually every editor in NY I talked to told me, “The fiction market is shrinking.” And it was. And it did. And in NY, it’s still tiny, even after e-books hit and everything went insane. Even before e-books, the big houses shrinking their lists opened up a huge window for small and regional publishers. Of course, those got caught in the quickly changing quagmire, and many have gone belly up. Then again, many of those (with more arriving on the scene daily) have opened e-book “publishing” houses, some partnering with writers, some charging flat fees. Or, for our purposes, published in print to begin with. This was before anyone could even conceptualize the e-book revolution. And although the book-and-mortar stores still don’t stock self-published books, they do buy from small and regional houses all the time. The digital age has sure leveled the playing field. Of course, right now there’s this vast sea of self-pubbed books, and the marketing of those is difficult to say the least. But unless your name is E.L James to begin with, you have to do almost all of the marketing yourself anyhow, even if your book came from one of the NY biggies. In the future, the house that sells the most books may well indeed not have a traditional name. But it will be the house that knows how to target the audience for its authors, bringing the very real consequence of more and better books being published. And where we go from there is anybody’s guess. 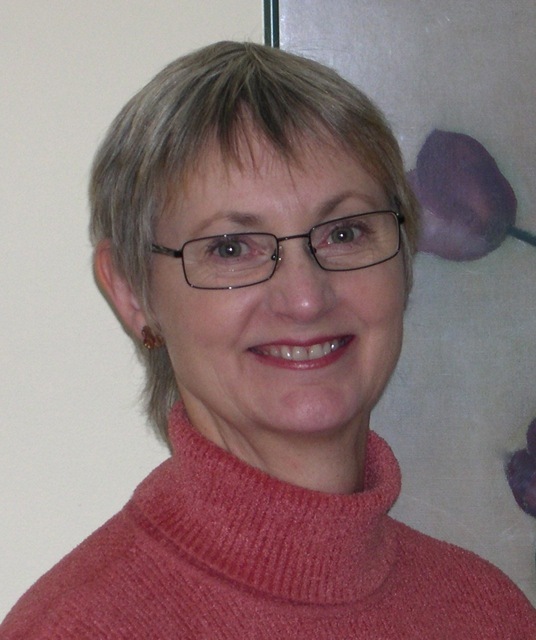 Please welcome Lauri Kubuitsile back to The Blood-Red Pencil on her blog book tour for her Kate Gomolemo Mysteries series. My first published book was The Fatal Payout, the first book in my Kate Gomolemo Mysteries series. The entire process, from writing to getting published, was a textbook case of “How-not-to-be-a-Writer”. In my thirties, I found myself owning a small printing company that published our local newspaper. I never really thought about being a writer although I wrote articles and an editorial each fortnight for the paper. But then we were changing formats and were afraid we’d get lost in the crowd and I had the idea that I would write a serialised novel, a thousand words each issue, to try and hook our readership to pick up the free paper. 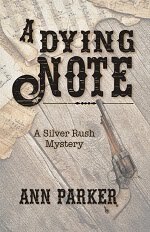 I’d never written a novel before, I hadn’t even written a short story, but I was undeterred. I didn’t know enough to know I didn’t know enough. There was no plot plan, no character sketches. In most instances, the Thursday night before the Friday deadline, I’d quickly sit down at the computer and bash out my thousand words and hope I’d have something again the next time the deadline came around. Where the story was going, I didn’t know. All I knew was that it had to go. Every other Friday without fail. Eventually I finished it. Readers were now used to the characters so I continued book number two (Murder for Profit), then book three (Anything for Money) and finally book four (Claws of a Killer). When The Fatal Payout finished in the paper, we had people calling the office asking for the parts they missed. My manager suggested I send the story off to one of our local publishers to see if they might consider printing a few books for our readers. I did no research. I followed no submission guidelines. I just found the email for Macmillan in the yellow pages and sent the manuscript off. A few months later I had a publishing contract. Another few months and I was at a book launch at one of the big chain bookstores in Gaborone with all the big-wigs, including the vice chancellor of our university, the MD of the bookstore chain, and the former permanent secretary of the Ministry of Education. The guest speaker was the head of the national library services. To say it was surreal would be an understatement. Most of the night I hid in the nonfiction section of the bookstore in the hope that no one would find me. When I undressed to go to bed that night, I realised I’d worn my shirt backwards the entire evening. That was 2005. It seems like yesterday. Since then the book has gone on to be prescribed for all junior secondary students in Botswana. It has sold almost 50,000 copies; the royalties recently paid for my new swimming pool. But I remember that night, after the launch, we (my husband and kids and I) were back in the hotel room. They were asleep and I got up and took out my book. There it was: my name on the cover. Me. An author. Since then I’ve had seventeen paper and ink books published, and it’s always exciting, but nothing like that first one. I did every single thing wrong. I wasn’t meant to be a published author, but somehow, against all logic, I am. Not that long ago, if you wanted to see your book in print and you couldn't land a contract with one of the New York publishers, your primary option was to go with a vanity press. What's a vanity press? One where the author pays to have the book published. And this violates an unwritten rule in publishing: money should flow to the author, not the other way around. Recently, I judged a contest for published authors. I was given four books to judge, and I noticed something different from entries I'd judged in previous years. All four of mine were from small presses, most of which I'd never heard of. Yet they're all legitimate, royalty-paying publishing houses, not vanity presses, even though they're not part of the "Big Six" New York publishers. Most of these small presses rely on "Print on Demand" (POD) to create their product. Not that long ago, POD publishing was scoffed at, and lumped in with vanity presses. People didn't understand that the mechanism used to produce the book had nothing to do with the quality of the merchandise. "Oh, you're with a POD publisher" was a comment as belittling as, "Oh, you're with a vanity press." However, POD is a technology, and is not connected with publishers. All it means is that if someone orders a book, instead of finding it on a warehouse shelf, it's printed virtually on the spot. This saves trees, and eliminates the stripped book returns from bookstores. Indie authors can take advantage of POD technology as well. 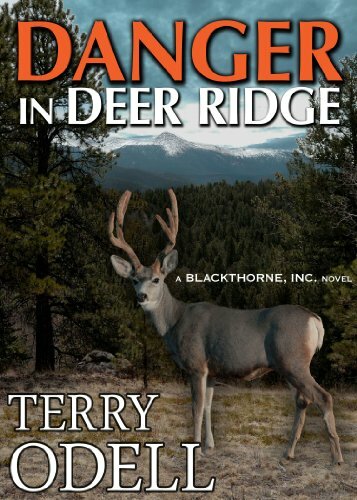 For example, my two indie published books, Danger in Deer Ridge and Deadly Secrets, are available in print as well as in digital formats. If you go to either Amazon.com or Create Space, you can order the book, and it'll be shipped to you, the same as any other traditionally published book. Producing a print book through Create Space is virtually free. It requires a little patience, but it's not outside the scope of any author comfortable with Word. You'll have to brush up on headers (different for odd and even pages). I also found that by centering my page numbers in a footer avoided having to deal with yet more content in the headers. Amazon has templates you can use based on the size you want your final product to be. It's almost as painless as copying and pasting the manuscript you used for your e-book into the template. You have more freedom with fonts in the print version, and can even use fancy wing-dings to mark scene and chapter breaks. When you're satisfied with the product, it's as simple as saving it as a PDF file to upload to Create Space. However, if you're intimidated by this, there are formatters who will do it for a nominal fee. You'll also need a different cover, since print books have backs and spines. Again, Create Space provides a template, and thanks to my daughter who understands Photoshop much better than I do, I didn't have to pay anyone for that step. Now, I'm a realist and I know bookstores aren't going to be ordering scads of my books, so I stuck with the free distribution channels. The only cost I incurred was paying for the proof copy, which I strongly recommend. Mistakes happen, and you'll want to catch them before people buy the book. But again, it's POD to the rescue, because if you do find mistakes (and I had a reader point out a few that both I and my editor missed), you can simply upload a new file, and all subsequent orders will be filled with the corrected books. And in closing, it's only right that I share my own experience, which is that I hardly sell any print versions of my book. In fact, I get more people asking me when my print book, Rooted in Danger, will be available for their e-readers. But, it's about choices, and why not make sure you have a product ready for those who insist that if they can't hold it in their hands and smell the ink, it's not a "real" book? Terry's short romances are published by The Wild Rose Press. You can find more about them HERE. 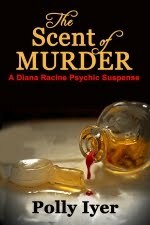 She's also written two short mysteries, one of which is published by Highland Press in DECEPTION. You can find her at her Web site. If you've followed her blog (or want to start! ), note that it's moved and is now HERE You can follow her on Twitter, or visit her Facebook page. Who do you admire? Who we choose to call our heroes may have great power over our lives, whether we know them personally or not. Do you remember who your first writer hero was? I do. Ever since I can remember I wanted to be a writer. I wrote plays, poems, stories, and even a newsletter for my family, which I subjected them to every Sunday night at the dinner table during the year I was nine. It seemed a miracle to me that color, excitement and action could bloom out of black lines on white paper. I still remember the Christmas when I was nine or ten and given Louisa May Alcott’s Little Women. I fell in love with its heroine, Jo March. She, too, wanted to be a writer, and her “scribbling” meant more to her than anything else. She wasn’t one of those namby-pamby, retiring, “good” girls – no, she was exciting, bold, tumultuous, a passionate rebel who had problems with anger and who rebelled against female restrictions. I strongly identified with her. I was savagely disappointed when I first read Little Men, the sequel to Little Women. It told the story of an adult Jo, who had settled down to become a wife and mother, leaving her writing dreams behind. All the focus in the book went to her boys, leaving Jo relegated to the sidelines, supporting and comforting. What was even worse was that she seemed happy with her diminished role. “How could she?” I thought. I was somewhat relieved when I read the third book about the March family, Jo’s Boys. Here I learned that Jo had retrieved her writing dreams and become a successful writer in middle age. “Better late than never,” I thought, although to my eleven-year-old mind, it seemed like a long time to wait. Today I am struck by how my life has paralleled that of Jo March. I too showed early promise and wrote from heart-stopping passions so deep I knew I would always keep writing. But I grew up and married, had children, got a job, and left my writing dreams to molder while I made a living and focused on my kids. Just like she did. But today! Today I, too, am middle-aged, but my writing dreams are still young and vibrant. 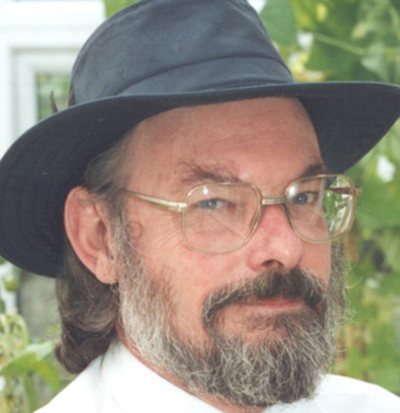 I’ve written six books, and I help others write their books. I make my living scribbling.